This is the second in a series of blogs aiming to give the reader an easy ‘at a glance guide’ of where to go in sub-Saharan Africa and get the best out of it – after all there’s no point in going to the Okavango Delta to see the annual flood but arriving in October and wondering where all the water has gone! 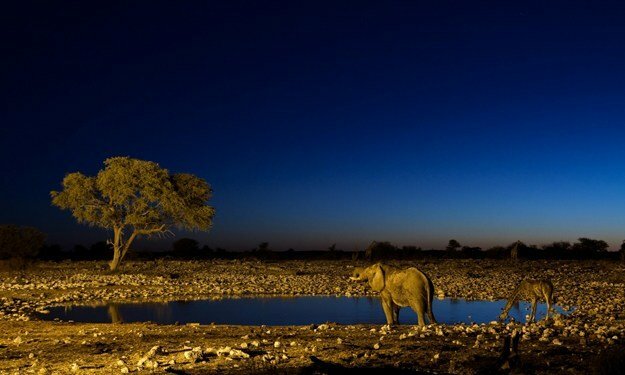 Botswana – the hot and rainy days of summer are coming to an end to be replaced with clear blue skies and a slight, but growing, nip to the evenings with night time temperatures far more conducive to a good nights’ sleep before your early morning wake up call, cup of tea and game drive. 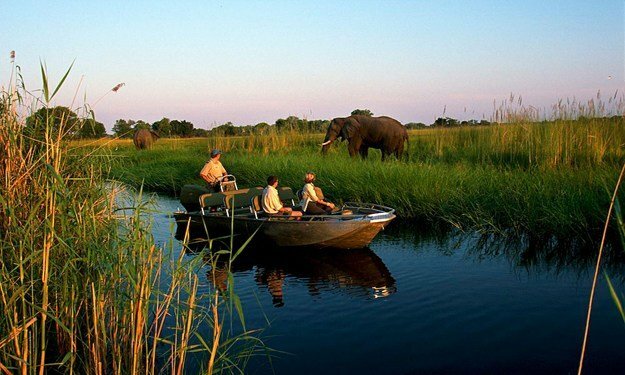 The Okavango Delta waterways are filling up whilst further south the Kalahari Desert is springing into bloom. It’s a magical time of the year with the annual inundation of waters from the Congo just around the corner. Oh, and prices are far lower than the coming peak season. Wildlife viewing is superb with the waters and fresh grazing drawing in all manner of wildlife. Birding though tails off a little as the migratory species begin to move off to their summer locations further north. My favourite camps to visit at this time would be Jacks Camp in the Makgadikgadi Pans and Little Vumbura in the Okavango Delta. Malawi – should also have seen the end its rainy season by now with many times more water than Botswana having fallen – some 500 mms in all, over the past three months! 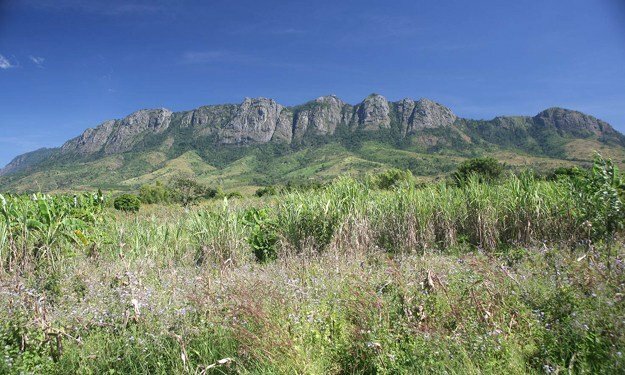 The national parks are all incredibly verdant which makes game viewing a little harder and you need to persevere but it is worth the effort. Malawi though has so much more to offer with its jewel being Lake Malawi – ‘discovered’ by the Scottish missionary and explorer David Livingstone some 150 years ago. Add to that the Zomba and Nyika plateaus and there is something for everyone. Namibia – to my mind April is one of the best months to visit Namibia, at least as far as the temperature is concerned, away from the heat of the summer. Like Malawi, Namibia is more than just a safari destination, but in a totally different way; one is sub-tropical and one is largely desert. The Etosha Pan will be full and much of the wildlife will have moved away from the permanent water holes, so you’ll have to be more patient than in the dry times, but there is still much to see. The Caprivi Strip will undoubtedly be the region to visit at this time of year with teeming birding and plenty of big game. 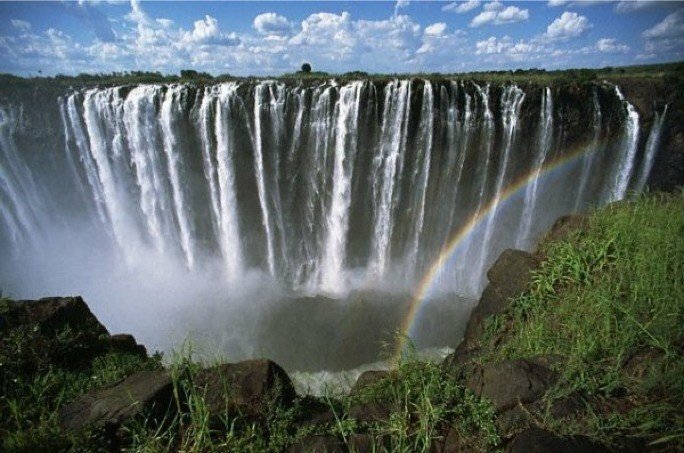 From there drive on to Kasane and visit the Chobe National Park in Botswana and spend some time close to Victoria Falls which will be close to its peak flow. 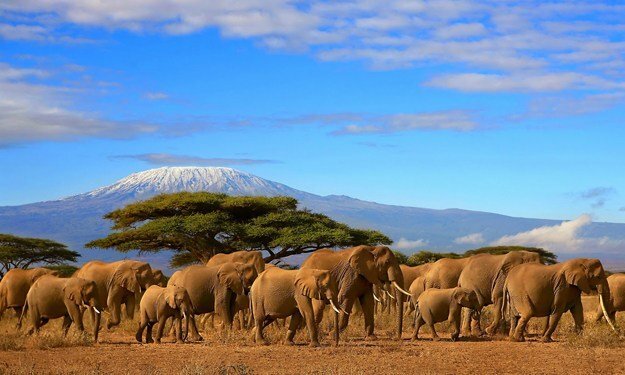 Tanzania – April is in the midst of its long rains, so it’s probably not the best time to go to Tanzania for a beach holiday, but if you put that to one side and dress accordingly the game viewing at this time of year is superb. The huge herds of the annual migration have all calved and are now on the move, massing in their hundreds of thousands and grazing in the southern Serengeti prior to their destined move northwards towards, ultimately, the Masai Mara in Kenya. I’d either stay in one of the properties close to the rim of the Ngorongoro Crater and drop down to the southern Serengeti or in one of the permanent lodges such as the Serena. Zambia – the end of the summer rains heralds the re-opening of Zambia’s bush camps and the beginning of what is known as the ‘emerald’ season – the bush is verdant and the rivers are full – it’s the time of plenty for Zambia’s wildlife. South Luangwa is certainly the place to be; this gem of a hidden valley is well known for sightings of leopards and perhaps a little counter-intuitively for its incredible walking safaris. I would head to Mchenja, a gem of a bush camp set in a mahogany grove on the banks of the Luangwa River. Here are my Top 5 places to visit in Africa in April; well, ones technically a reason. 5. And finally marvel at the stunning night skies; they just have to be seen to be believed – if you can organise a sleep out then do so, you will not be disappointed.